Like all cities, London is a mix of architecture from all eras, dating back over hundreds of years. 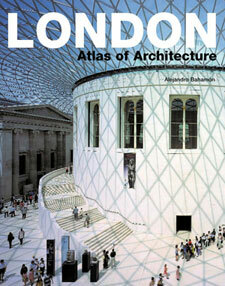 London: Atlas Of Architecture by Alejandro Bahamón aims to be your guide through it. It’s a visual guide, with over 600 photographs, historical maps, paintings and drawings. And for easy browsing, it’s split over three sections. The first is a chronological breakdown, from early Roman buildings through to the latest constructions. Secondly, there’s a breakdown by borough, with maps picking out interesting buildings for each area. And finally, there’s a look at types of buildings, from churches and monuments to hotels and stations. Available now, the recommended retail price is £20 for the hardback.